Bonn, 17 March 2017 - The Harbour Porpoise is the only small whale found regularly in German waters and there are no more than 500 of them left in the Baltic Sea. The species' survival is also due to the international Agreement on the Conservation of Small Cetaceans in the Baltic, North East Atlantic, Irish and North Seas (ASCOBANS). This year, ASCOBANS celebrates its 25th anniversary. The Agreement was negotiated under the United Nations Convention on the Conservation of Migratory Wild Animal Species. Dolphins and all toothed whales, besides the sperm whale, are covered by ASCOBANS. They cross international borders and depend therefore on transboundary protection measures. ASCOBANS was opened for signature at the United Nations Headquarters in New York on 17 March 1992. So far, ten European countries have joined the agreement, including Germany. In 2008, the Agreement area, which originally comprised only the North Sea and the Baltic Sea, was extended to include the North East Atlantic and the Irish Sea. Numerous dangers threaten individual animals and even entire populations of marine mammals. Bycatch, the accidental capture in fishing nets, in which animals are entangled and suffocate, ranks first. As a result, thousands end up in fishing nets every year. In the long term, ASCOBANS aims to reduce the mortality rate to zero. Marine litter causes fatal injuries, while heavy metals and chemical compounds such as polychlorinated biphenyls (PCBs) enter the food chain and accumulate in the animals' bodies.Overfishing makes it a challenge for some animals to find enough food every day. Dwindling habitats and climate change make life difficult for the animals - with unpredictable consequences. Noise pollution, also caused by shipping traffic and the construction of offshore installations, deprives marine mammals from their natural habitats and can lead to behavioral changes, physical damage and even death. Scientific data on numbers and distribution of the animals are a precondition for targeted conservation measures. Over the past 25 years, ASCOBANS has supported many research projects, including the development of tailored conservation activities for the Baltic Harbour Porpoise. The Jastarnia Plan is a conservation strategy for the recovery of this vulnerable population. It recommends that countries invest more in the development of alternative fishing methods that reduce the risk of bycatch. The new findings on the animals' occurrence also make it possible for States to designate protected areas, such as those in Sweden for the breeding area of ​​the Baltic Harbour Porpoise. 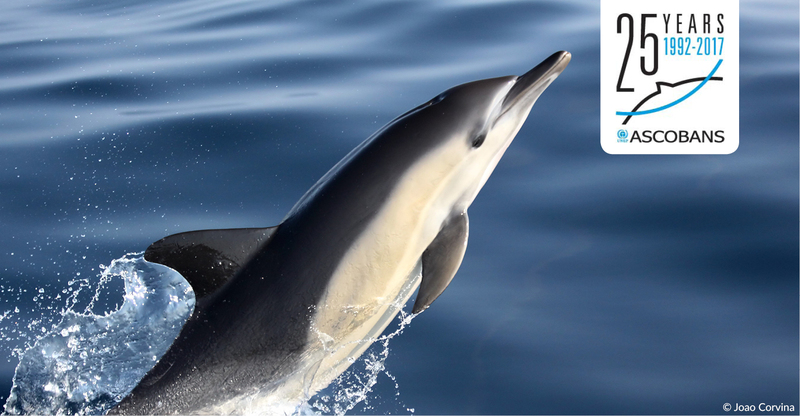 ASCOBANS is developing strategies to tackle increasing threats to marine mammals off the coasts of Europe. Additional Member States may contribute to this in the future.